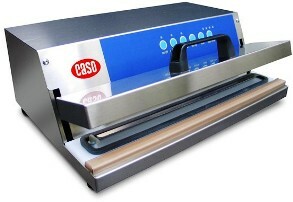 Fast vacuum sealer with capacity 30lt / min. It is used to keep food fresh for a period of 7 times longer than usual, without the use of preservatives. Ideal for meat, fish, fruit, vegetables. Combined with special bags airtight closure.